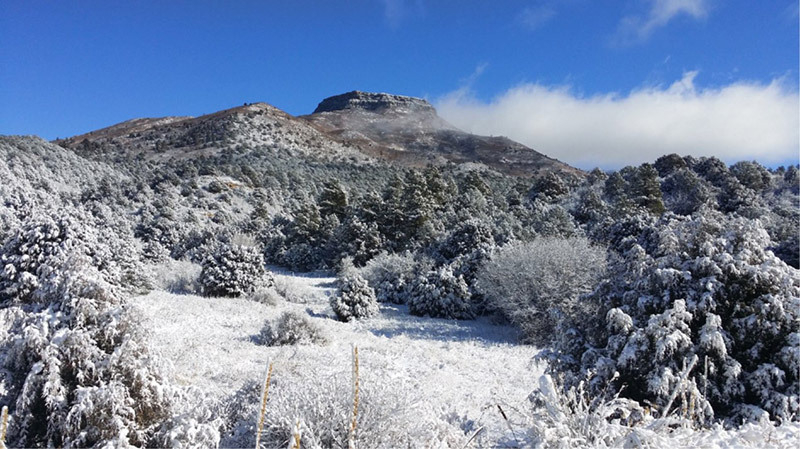 Fisher’s Peak, southeast of Trinidad, Colorado, commands a presence at 9,633 feet, rising prominently from the rolling ranchlands that surround it. Visitors today can’t access the peak from Colorado. Instead, intrepid hikers must drive 30 miles to New Mexico’s Sugarite State Park and make a long, arduous hike to reach the peak. The Trust for Public Land and The Nature Conservancy are working together to purchase the 30-square mile Fisher’s Peak Ranch, which contains the peak, and thousands of acres of unique and irreplaceable wildlife habitat. Partners, including the City of Trinidad, Colorado Parks and Wildlife, Great Outdoors Colorado, and members of the public, are involved in shaping a plan for the property. Future public access and the development of local trails will transform the ranch and Fisher’s Peak into a statewide attraction and boost the local economy. Responsible conservation management will enhance the diversity of native wildlife and plant species.